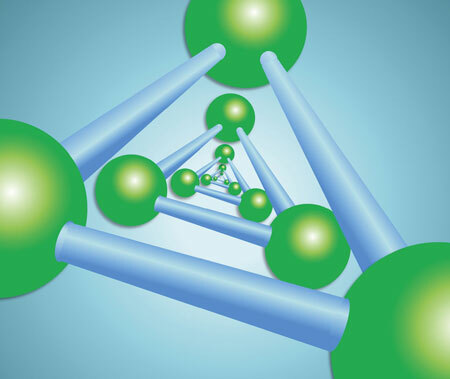 Nanotechnology will be a major focus for NIOSH at the SOT annual meeting. NIOSH researchers will give more than 30 presentations about the latest science addressing the potential hazards of nanomaterials. New device lets scientists take images of lithium battery as it works and recharges. 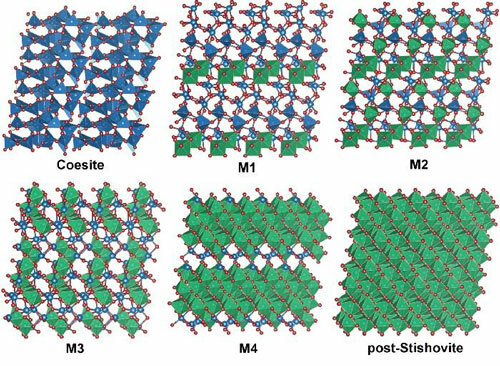 Scientists were able to discover five new forms of silica under extreme pressures at room temperature. 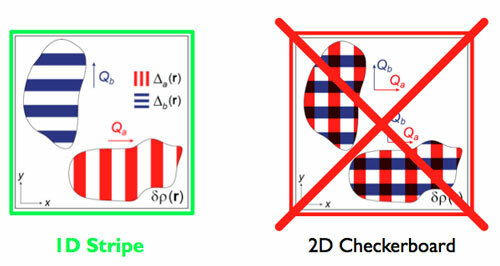 Physicists observed the shape of a strange phenomenon that interferes with high-temperature superconductivity called charge ordering, discovering that it is stripy, not checkered, and settling a long-standing debate in the field. A study of the interaction among three objects in peculiar resonant systems uncovers an unexpected universality. Progress in developing nanophotonic devices capable of withstanding high temperatures and harsh conditions for applications including data storage, sensing, health care and energy will depend on the research community and industry adopting new 'plasmonic ceramic' materials. The latest breakthrough answers a key question on the microscopic electronic structure of cuprate superconductors, the most celebrated material family in our quest for true room-temperature superconductivity. What happens when a quantum dot looks in a mirror? A device resembling a plastic honeycomb yet infinitely smaller than a bee's stinger can steer light beams around tighter curves than ever before possible, while keeping the integrity and intensity of the beam intact. 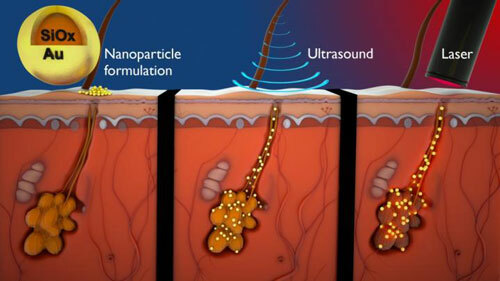 Researchers use the latest in nanotechnology and transdermal drug delivery to take on an old problem: Acne. Modelling the motion of cells moving together may help scientists design new technologies inspired by nature, such as self-healing materials in batteries and other devices. Nanoparticles of various types can be quickly and permanently bonded to a solid substrate, if one of the most effective methods of synthesis, click chemistry, is used for this purpose. 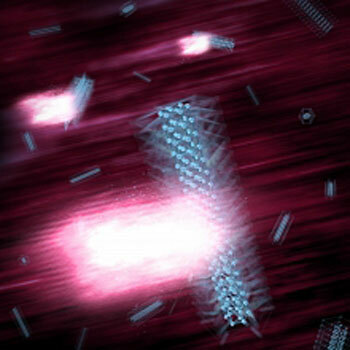 Researchers watched nanoscale semiconductor crystals expand and shrink in response to powerful pulses of laser light. This ultrafast 'breathing' provides new insight about how such tiny structures change shape as they start to melt - information that can help guide researchers in tailoring their use for a range of applications. 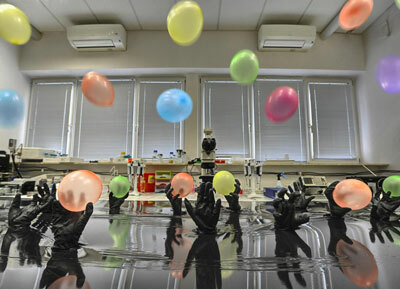 Creating large amounts of polymer nanofibers dispersed in liquid is a challenge that has vexed researchers for years. 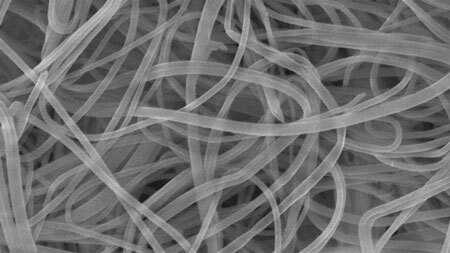 But engineers have now reported a method that can produce unprecedented amounts of polymer nanofibers, which have potential applications in filtration, batteries and cell scaffolding. 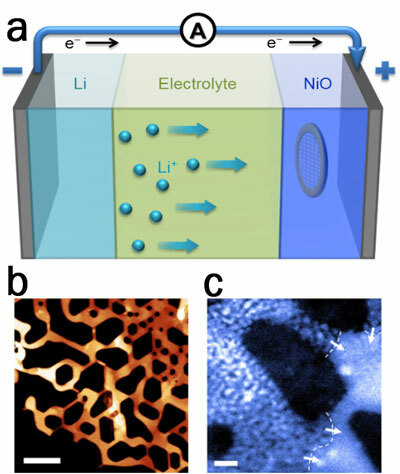 Nanoparticle electrodes in lithium-ion batteries have both near-surface and interior contributions to their redox capacity, each with distinct rate capabilities. 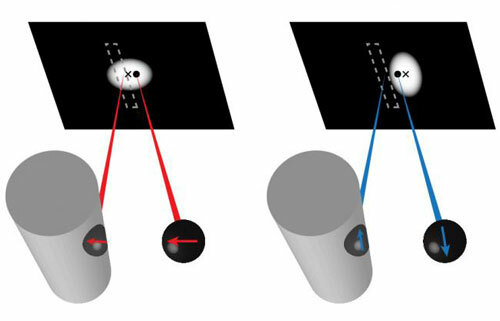 Using combined electron microscopy, synchrotron X-ray methods and ab initio calculations, scientists have investigated the lithiation pathways that occur in NiO electrodes. 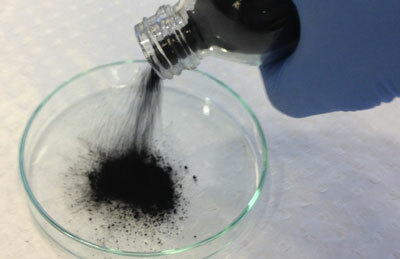 Graphene is a remarkably strong material given it's only a single carbon-atom thick. But finding ways to do something with it - that's also affordable too - has always been a challenge.